Hyogienic long term stable dissolved oxygen sensor for often sterilisation and autoclaving. Amperometric measurement of dissolved oxygen. - Closed amperometric 2-electrode sensor covered with a PTFE membrane.- Sensor made of stainless steel. Sensorbody : stainless steelMembrane : PTFE coated stainless steel net with a silicone coating. Pomiary przewodności elektrolitycznej oraz stężenia tlenu śladowego w branży energetycznej. with 3 membrane caps, O-Ring sensor, O-Ring process and Pipette. 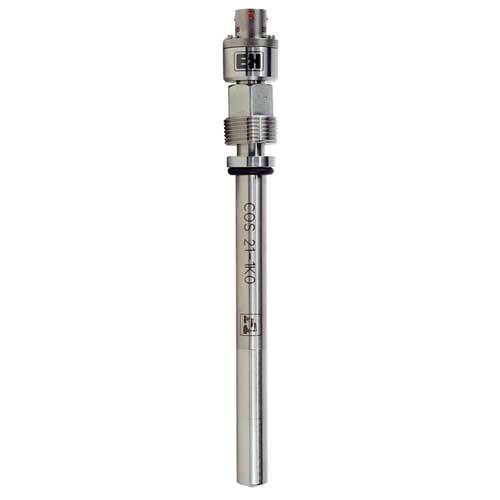 For standard and trace sensors in all application without CIP or FDA requirements.